It has been suggested in prior posts that the alphabet is the basis of the Indo-European Language. The Hebrew Alphabet is one of the oldest alphabets and was used for this study. (See below.) Each letter already had a sound and a number associated to it. In this study a concept was attached. These symbols then comprise the Indo-European language. Sun… a combination of s-u-n: continuous-ongoing-yet varying. This aptly describes the sun. From Anglo-Saxon (Old English): nes which means to survive. It is comprised of n-s: varying yet ongoing. From Old English nest. It is comprised of n-s-t: varying yet ongoing place. From Old English os means mouth. In Latin it means bone. It is comprised of o-s: ongoing and continuous. From Greek chaos means abyss. Today it means confusion. It is comprised of ch-a-o-s: changing-source-ongoing-continuous. From Old English yth means flood. It is comprised of i-th: eye – of greatest importance. Suggesting the source of the flood. From Old English toss. It is essentially comprised of ts: to harm by tossing. From Old English ra means to raid. Comprised of r: explosion/spreading. From Old English raesc meaning shower. It is comprised of r-sh: explosion/spreading – of the smallest. Compare to ras meaning to search out. Today it means erase. Comprised of r-z: explosion/spreading – sever. Compare to raes meaning to rush, attack. Comprised of r-s: explosion/spreading – continuous. From Old English sar means sore. Comprised of z – r: sever – spread. From Old English seare means cunning. Comprised of s-r: continuous – spreading. From Old English net. Comprised of n-t: varying – places of union/ties. From Old English mag meaning may. Comprised of m-A: more – allowed. From Old English ag means to gain or take. Comprised of a-g: source-action. From Old English ah means to gain or take. Comprised of a-h: source-on high. Now examine the word magnet. Note the contraction of may-ag-net as defined above. From Old English thoth means yet, that, then at that time. Comprised of th-th: important-extreme. From Greek tessarace means summit of a four sided tetrahedron. Note the contraction of toss-seare-raes or tossing that continued from an attack. 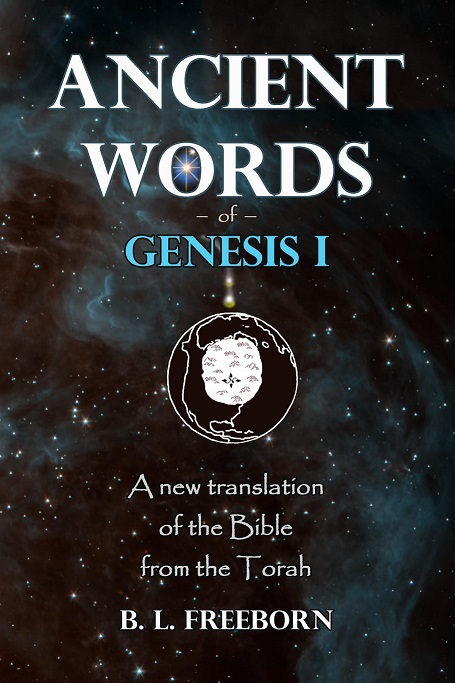 The seventh word in the Torah (in Latin letters) is ts-r-ea-h which means in Hebrew (when read left to right) the Earth. Note the contraction of toss-seare-ra-ah or a tossing that continued as it raided and gained control. This all leaves one very much to consider……..! In the last posts ea, b, g; d, h, wf, z, ch, t; I k, L; m, n, s; A, p, ts; q, r, sh and th were examined. Consider that the sounds may have been assigned to the numbers to preserve a specific message. Then each time the alphabet was read certain words were spoken. It is suggested that it did originally tell a specific story. This is why the letters k, l, m, n have maintained their order as they were transferred into various alphabets. The meaning of the words as they are found in this series was stated at the end of each post. All the words are gathered together below in order. It ebbed as it was done in a big way. It wandered as it was divided and somehow it was driven away. The warriors chattered at the tie. Increasingly it was killed and lamed. Yet men survived. The story repeated as it put it here and tossed it. It tossed the magnetic pole into a quern as it rushed the sheath. sh-th or sceath = sheath, covering. In the last posts ea, b, g; d, h, wf; z, ch, t; I, k, L; m, n, s; A, p and ts were studied. In this post the last of the letters: q, r, sh and th are examined. They represent numbers 100, 200, 300 and 400 respectively. The Hebrew Letters are as seen in the image below. The ‘q’ sound represents the number 100. When pronounced as ‘cue or queue’ it reveals itself. It suggests what happens next or lining up. The word quintessence means the fifth essence or element. The other elements are air, fire, earth, and water. What element exists that is not listed here? Magnetism and it has the ability to make things cue up. Consider that it suggests the idea: magnetic pole and force. The next letter ‘r’ has value 200. We find it used in such common words as rush, roar, ray, rage and rake. As before in its related terms 20 and 2 we have a doubling here. It repeats the idea that two comets raged and raked or exploded as they struck. Consider it suggests the idea: behavior of an explosion. The next letter provides the sound ‘sh’. It has value 300. We see it used in such words as shim, shimmer, show, shoe, and shy. Consider that it suggests the idea: becoming infinitely small or transparent, ephemeral. The last letter provides the sound ‘th’. It has value 400. Numerically this an extraordinary number. It is the ratio between the distances of the Moon and Earth; and Sun and Earth; and their diameters. As a sound, it must be one of the most frequently used in modern English. It is essentially ‘the’ and found in this, that, then, there, thus, thing etc. At one time there was even a second form of the word spelled ‘tha’ which meant then, at that time. We use it to give words importance. Get the book not a book. Consider that it suggests the idea: denotes importance and order of events. theg = to serve, thy = thy, the, after, theb = thief, thaw = thaw. Before we had these significant ideas: ‘a’ source, ‘b’ to be bisected, ‘g’ action, rotation, ‘d’ a division or state,‘h’ on high, ‘wf’ ongoing, ‘z’ to sever, severeness, ‘ch’ to change, ‘t’ a place of union, linear action, ‘I’ the eye or center, ‘k’ the impact crater and its properties, ‘L’ to lie where it fell, to lay out, to be in a line, ‘m’ more, might, measure of, ‘n’ negation, to reverse in direction yet continue, ‘s’ continuous state of being, unbroken, ‘A’ assigned, custom law, ‘p’ power in the small or great, and ‘ts’ to harm by tossing, teasing, twisting, action that harms. Each is represented by a short sound. Now we have these ideas: ‘q’ magnetic pole and force, ‘r’ behavior of an explosion, ‘sh’ becoming infinitely small or transparent, ephemeral and ‘th’ denotes importance and order of events. In the last posts ea, b, g; d, h, wf; z, ch, t; i, k, L; m, n and s were studied. In this post A, p, and ts are examined. They represent numbers 70, 80 and 90 respectively. The Hebrew Letters are as seen in the image below. It is suggested the ‘long A’ sound represents the number seventy. This number is of importance when measuring longitude. The distance between each degree is 69.2 miles at the equator. From the pole down it creates a wedge shape which is reflected in both the Latin and Hebrew letter form. Notably in Anglo-Saxon ae meant law, custom. Consider that it suggests the idea: assigned, custom, law. The next letter ‘p’ has value 80. We find it used in such common words as point, place, plane and power. Consider it suggests the idea: power in the small or great. Consider that it suggests the idea: to harm by tossing, teasing, twisting, action that harms. teosu = harm, injure, tosaw = strew, scatter. Before we had these significant ideas: ‘a’ source, ‘b’ to be bisected, ‘g’ action, rotation, ‘d’ a division or state,‘h’ on high, ‘wf’ ongoing, ‘z’ to sever, severeness, ‘ch’ to change, ‘t’ a place of union, linear action, ‘I’ the eye or center, ‘k’ the impact crater and its properties, ‘L’ to lie where it fell, to lay out, to be in a line, ‘m’ more, might, measure of, ‘n’ negation, to reverse in direction yet continue, and ‘s’ continuous state of being, unbroken. Each is represented by a short sound. Now we have these ideas: ‘A’ assigned, custom law, ‘p’ power in the small or great, and ‘ts’ to harm by tossing, teasing, twisting, action that harms. In the last posts ea, b, g; d, h, wf; z, ch, t; I, k and L were studied. In this post m, n and s are examined. They represent numbers 40, 50 and 60 respectively. The Hebrew Letters are as seen in the image below. Now the Hebrew script shows it has something in common with other alphabets such as Latin, Greek and Cyrillic. The letter order of k, l, m, n is consistent in all of these alphabets. The ‘m’ sound represents the number forty. Biblically this is an important number. The flood lasted 40 days and nights. Moses wandered in the wilderness for 40 years etc. Consider that a square of sides of 40 has a diameter of 56.56 and this is that all important number that only the initiates could see. It conceals the most important measure. Note that the word measure is two words ma and sure. The first means more and the latter suggests we will be sure of it if we measure. Consider that it suggests the idea: more, might, measure of. The next letter ‘n’ has value 50. It too has unique properties. It suggests halves as in 50-50. Its original letter form was a down, up, down stroke similar to the modern form with the up then down. The letter suggests it is something that reverses. Consider it suggests the idea: negation, to reverse in direction yet continue. We find it used in such common words as no, negate, next and nigh. The next letter provides the sound ‘s’. It has value 60. Like its counterpart 6, it suggests time. In this case time is measured in increments of 60 seconds and minutes. The form of the Hebrew letter is a circle and circles suggest ongoing cycles. Consider that it suggests the idea: continuous state of being, unbroken. sae = sea, se = thus, seow = sew, bring to fruition. n-s or nes = escape, survive. Before we had these significant ideas: ‘a’ source, ‘b’ to be bisected, ‘g’ action, rotation, ‘d’ a division or state,‘h’ on high, ‘wf’ ongoing, ‘z’ to sever, severeness, ‘ch’ to change, ‘t’ a place of union, linear action, ‘I’ the eye or center, ‘k’ the impact crater and its properties, and ‘L’ to lie where it fell, to lay out, to be in a line. Each is represented by a short sound. Now we have these ideas: ‘m’ more, might, measure of, ‘n’ negation, to reverse in direction yet continue, and ‘s’ continuous state of being, unbroken. In the last posts ea, b, g; d, h, wf; z, ch and t were studied. In this post I, k and L are examined. They represent numbers 10, 20 and 30 respectively. The Hebrew Letters are as seen in the image below. Now the numbers count out the tens. It is suggested the ‘I’ or ‘y’ sound represents the number ten. Each time a number is multiplied by ten it moves one place to the left and a zero or place holder is added to the right if no other digit (1, 2, 3…) is used. Similarly, division by ten moves the number to the right. Essentially, this is the number all the other numbers are centered around. Consider that it suggests the idea: the eye or center. The next letter ‘K’ has value 20. It is twice 10. The double is important here. Recall that it has been suggested this language was invented to transmit the ideas of the Baalists. Central to this is the idea that two comets struck the planet simultaneously. That idea is embodied in this number. The Latin K takes the form of the Phoenician letter for ‘ea.’ Turn it on its side and the idea of a sharp object impacting with a surface is depicted. In the Hebrew forms we see perhaps a precipitous cliff and crater. Consider it suggests the idea: the impact crater and its properties. We find it used in such common words as crater, cave, cause and collide. The next letter provides the sound ‘L’. It has value 30. Thirty correlates well with the idea of measurement. Thirty feet is 360 inches. The circle is measured in 360 degrees. A double hour of longitude is 30 degrees etc. All of which suggest the ordering of things. We find it in such common words as to lie, to lay, land and line. Consider that it suggests the idea: to lie where it fell, to lay out, to be in a line. lea = piece of ground, lieg = to lie, at rest, leg = lieg = flame. k-l or cyll = skin, kill. Before we had these significant ideas: ‘a’ source, ‘b’ to be bisected, ‘g’ action, rotation, ‘d’ a division or state,‘h’ on high, ‘wf’ ongoing, ‘z’ to sever, severeness, ‘ch’ to change, and ‘t’ a place of union, linear action. Each is represented by a short sound. Now we have these ideas: ‘I’ the eye or center, ‘k’ the impact crater and its properties, and ‘L’ to lie where it fell, to lay out, to be in a line.